The route is marked in blue to Engraving Connection. Take Plymouth Road East to Plymouth. 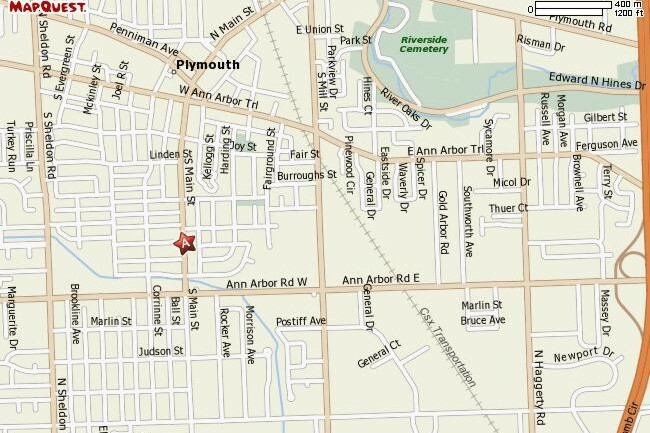 Towards Plymouth, Plymouth Road becomes Ann Arbor Road. After Sheldon Road is Main Street. Turn left on Main Street. We are down just a short ways on the right hand side.